In the end I was treated to a lovely necklace (I wore it with my dress), cake made by my Creative Crew and a day out in Niagara Falls. We went mini putting and had appetizers at The Rainforest Cafe! Mr. CB sometimes forgets that I like to do silly things...I am not a very good adult much of the time. Didn't my crew do an awesome job on the cake??? I love it! 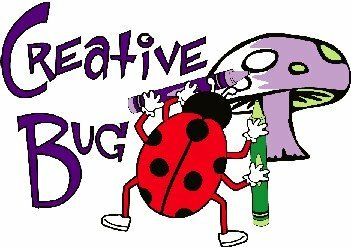 Creative Bug spent a week in classes all around Lincoln, West Lincoln and Grimsby for Mother's Day this year. We created necklaces that were all shapes and sizes, colours and labeled them with the most precious labels we could make. So Happy Mother's Day to all of you! I hope you enjoy some precious moments with the ones you love. This is the first Terra's Treasures Pattern that I have ever used. 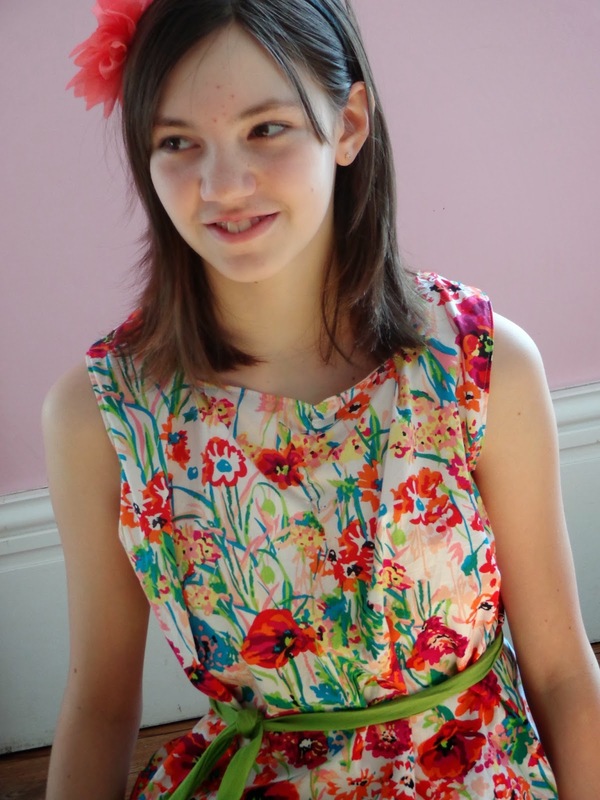 This dress is fully lined and a fairly simple sew. It is a shift style dress and it turned out fairly cute especially on the little ones. I found that in this case, I did not love the dress on the Creative Princess. I am sure I she will be wearing it this summer but it likely won't be a favourite. 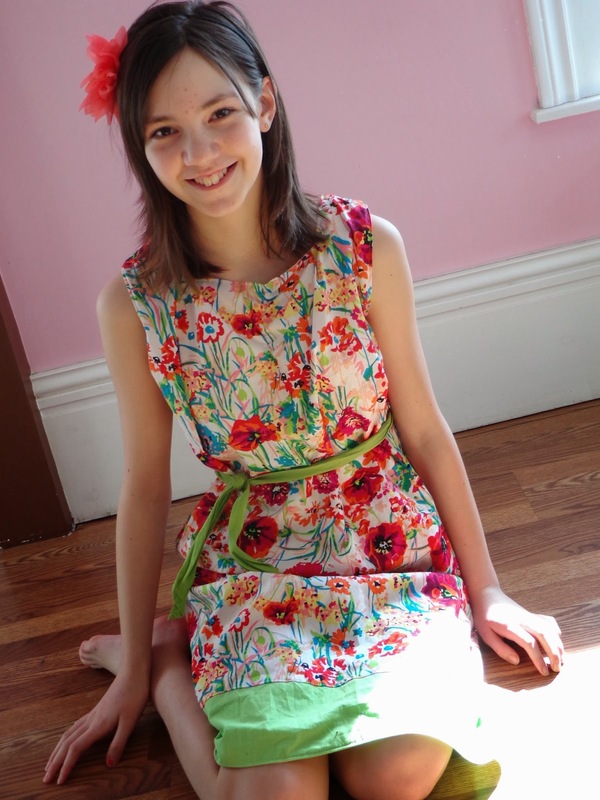 I do love the fabrics that she chose and have a shirt out of them myself...it is so fresh!